Get up to date on your dental visits before the year is out. Don’t put off needed visits until you return from visiting family. It’s always a good idea to plan ahead, get an appointment early and take care of your teeth before the rush and hustle of celebrating. Staying up to date will help prevent dental issues from ruining your time away from home by detecting any underlying issues that need to be treated before your leave. Holidays and vacation times are also very busy time in dental offices, so you want to make sure your appointments are scheduled and taken care of sooner rather than later. And don’t forget flex benefits! Many flex pay health care plans require you to spend any accumulated funds before year end. Make a dental travel kit. Nearly everything comes in a travel size and we’ve found that the activity of putting together a dental travel kit will encourage great habits while you are away from home. Don’t forget to pack travel sized mouthwash, floss and a toothbrush for everyone in the family. We’re excited about new convenient options as well, such as quick disposable toothbrushes that can be carried for “in-between” brushing on the go. Your kids will love their own dental kit. Help them to pick out a special brush and mini-toothpaste just for their time away. If you’re leaving town for the holidays, you want to make sure that your toothbrush stays covered. Extra handling, luggage and hotel bathrooms provide bacteria extra opportunity to find its way onto your bristles and into your mouth. Several options are available, including covers that are anti-bacterial. A closed cover gives a warm, damp place for bacteria to thrive, so remember to let your toothbrush dry before covering it up. We are all more likely to indulge in sugary drinks, snacks and desserts during the holidays. We’re also more likely to allow our children to indulge for special occasions. Why not make a conscious decision to eat a bit healthier this year? Instead of just planning your days and family activities around food, look for opportunities for more active fun. You might also decide to pack healthy snacks so that you won’t be tempted to grab a quick treat on the road that may not be good for your teeth. Whatever you decide to eat, don’t forget your regular dental habits. It may be tempting to just go to bed after a long day of family fun, but forgetting your routine could mean no-so-fun dental problems later on. 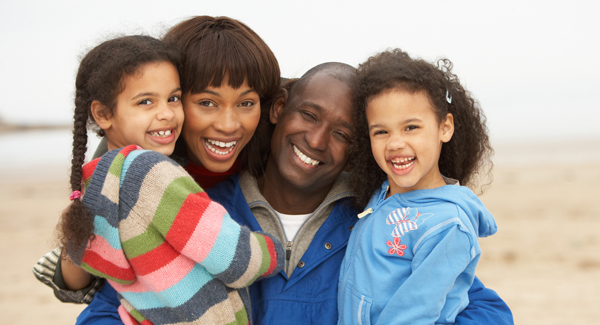 Make brushing and flossing an activity that your family does together. It can be a great opportunity to “de-brief” and discuss the activities of the day or plan for the next. We wish everyone a great season of love, joy, happiness and healthy smiles!